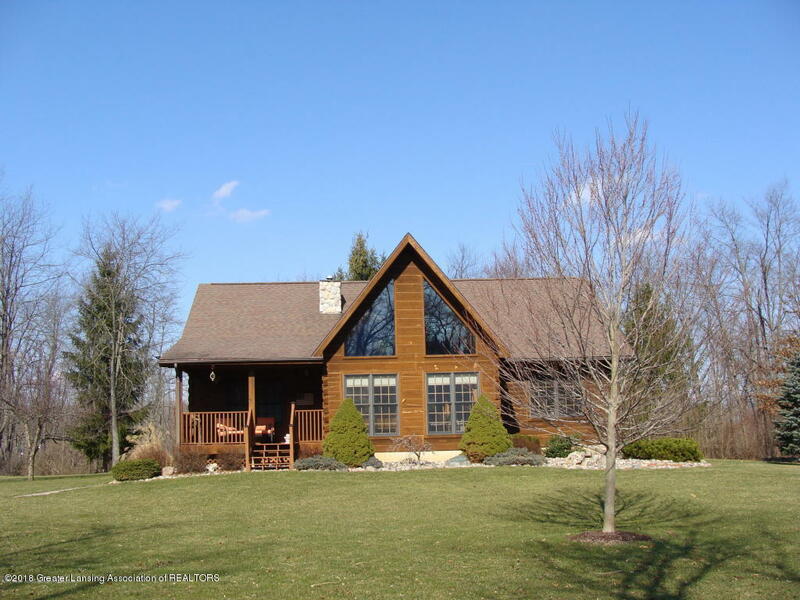 Beautiful log home in a private setting on 8 acres. This home is meticulously maintained and is a stunning example of pride of ownership. Built in 2000, this home features a stone fireplace, newly updated kitchen with beautiful quartz countertops and stainless steel appliances. There are 2 bedrooms, 2 baths, a loft and office or possible 3rd bedroom, open floor plain, soaring ceilings and a 1st floor master suite. All rooms offer natural views. Outside you'll find a 30X40 pole barn, professional landscaping and a 2 layer deck with hot tub. There is plenty of wildlife and lots of privacy on this property all within a mile from town! Additionally there is an observation deck overlooking the property. This home also includes a security system, R/O system, full basement and set up for a gym.